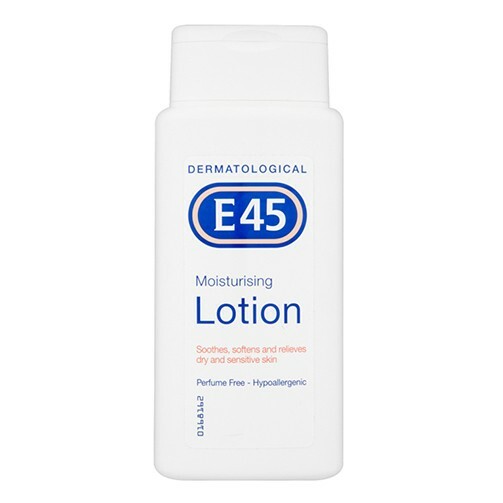 E45 Lotion is leaves skin soft supple and moisturised. It has a light texture that is easily absorbed and is suitable for use on the body face and hands. It is also suitable for daily use. E45 Lotion contains Medilan a purified hypoallergenic form of lanolin which is an excellent moisturiser and very unlikely to cause a reaction. This lotion is also 100% perfume and colour free. It has been dermatologically tested and is allergy screened to ensure the best care for sensitive skin. It can be applied as often as needed. E45 has been working with dermatologists for over 50 years to develop expert products which soothe and care for dry skin.